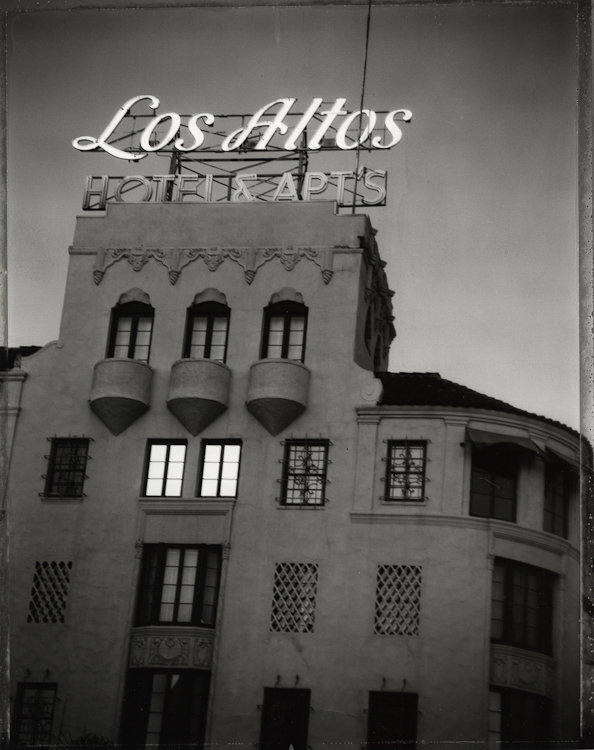 Los Angeles Architecture & Urban Landscape Print Galleries: Los Angeles: Black and White: The Los Altos Apts. Built by William Randolf Hearst in 1926 the penthouse was for his mistress Marion Davis. IBilled as the most luxurious residential building in Los Angels when it was completed, the Los Altos was also home to Bette Davis, Eva Gardner, Clara Bow and Douglas Fairbanks.